How to find gold in the mountains and streams of Georgia. 84 pages, $12.95. Gold prospecting is an exciting activity that the whole family can enjoy, and PROSPECTING FOR GEORGIA GOLD helps you every step of the way. 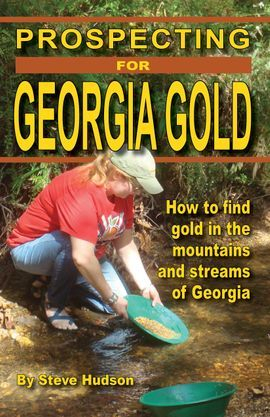 From A to Z, this great new guide shows you everything you'll need to know to search for Georgia gold on your own. • A look at the Georgia "Gold Belt"
• Learning to pan for gold...the fun and easy way! A complete guide to the hiking trails of Atlanta's Chattahoochee River National Recreation Area. 120 pages, $12.95. Stretching more than 48 miles from near Buford Dam to inside Atlanta’s I-285, the Chattahoochee River National Recreation Area offers more than 50 miles of world-class hiking trails, and HIKING THE HOOCH is the first and only hiking guide to cover all of the developed trails within CRNRA. It’s just the thing to help you explore these great trails on your own! The author has been hiking CRNRA's trails for many years and has written about them for a number of magazines and other publications. "People tell me time and again that they had no idea there was this kind of hiking right here within the Atlanta metropolitan area," he says. "I hope that HIKING THE HOOCH will help people discover this great resource that's literally in our back yards." 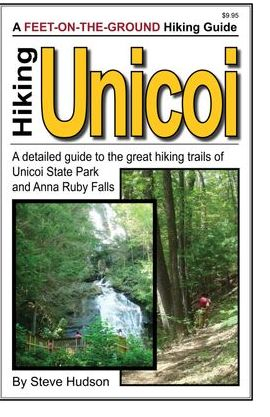 The trails of Unicoi State Park and the Anna Ruby Falls area offer fantastic hiking for folks of all ages and abilities. Whether you're looking for an easy hike with the kids or a challenging backcountry adventure, you'll find that the perfect trail awaits you here! 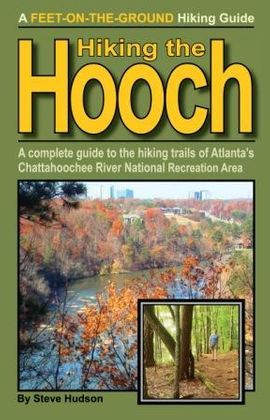 This book is loaded with the great maps and detailed trail descriptions which Chattahoochee Media's outdoor publications are known for. Along these trails way you'll find miles of great hiking with something for everyone, whether you're a beginning hiker or a seasoned veteran with many miles on your boots. There's even a trail for the visually impaired. These trails carry you through a wide range of environments from restful bottomland and along gentle streams to rocky ridges which offer spectacular views. There are excellent wildlife and wildflower viewing opportunities, and there's even a world-class waterfall at Anna Ruby Falls. You'll want to make this guide your regular companion as you hike these exciting trails! "Hiking is one of the most enjoyable outdoor activities, and this is one of the best hiking guides you'll find. It's a must-have for anyone who sets out to explore these great trails."